Understanding and preventing food shortages and price increases for produce and other food industries. Vegetarian Baked Potato Soup for the winter season! Take advantage of those winter root vegetables and warm your heart with this savory, comforting soup. Thanksgiving is a time to be grateful for the food and land we have. It is also a time to recognize, honor and respect the Wampanoag who provided the Venison at the harvest feast. Acorn Squash are in season. Here’s what to look for! A ripe Acorn Squash is heavy for its size and has smooth, dull skin, and no soft spots. A good mix between green and orange coloring is desired. 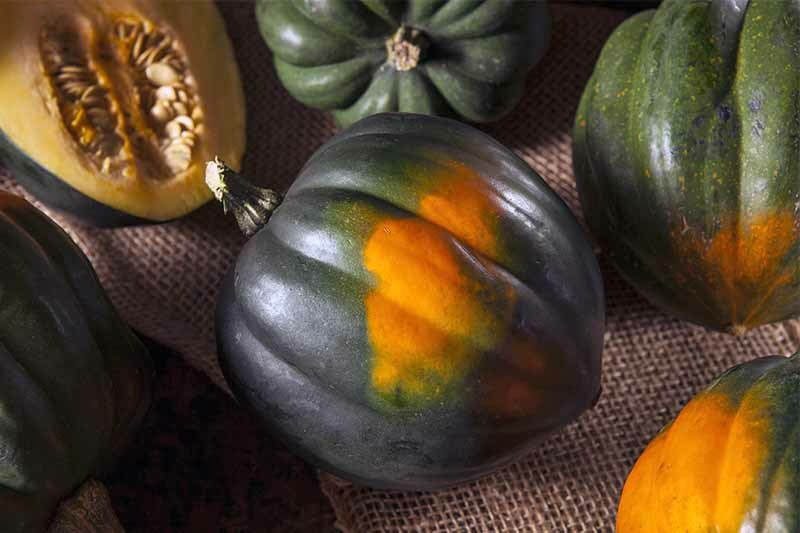 Avoid an Acorn Squash that has shiny skin, which indicates it was picked before full maturity, unless the producer has applied wax. Also avoid Acorn Squash that are over three pounds, as these have probably been picked past their optimal time and may be dry and stringy inside. You may eat and cook with overripe Acorn Squash, but if the inner flesh contains any dark or mushy spots, throw it out. Cold weather isn’t the only thing that can cause health problems. Here at Yes!, we envision a future where no one has to risk their health so that others may eat well. Field-workers, and those who handle our food, are at higher risk of short and long term health concerns. Autumn is on the way—and we are looking forward to these crisp, succulent salads from made from the fall harvest to satisfy our fall cravings!